One of the things I didn’t think about along this journey is the real possibility of changing hair consultants. After year one, you may find yourself reflecting over the course of your installment and months of retightenings…and you may just determine that you need to change the dynamics of your hair care. 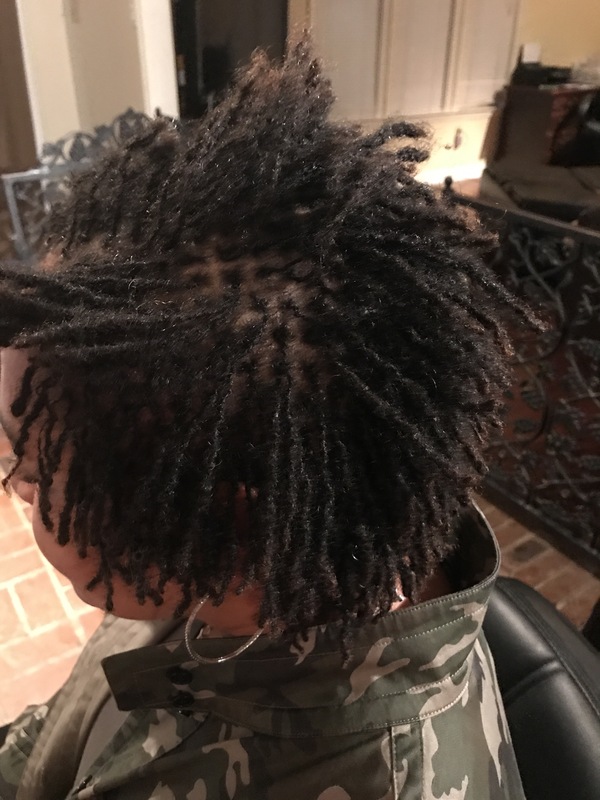 In May 2016, I decided to research the maintenance and cost of establishing microlocks as a natural hair transitional style. I had only been natural since December 2015, but I knew my TWA (teeny weeny Afro) would soon require more effort to style unless I chose to cut it. My research led me to Sisterlocks, Interlocks, and Microlocks as viable alternatives for my growing TWA. 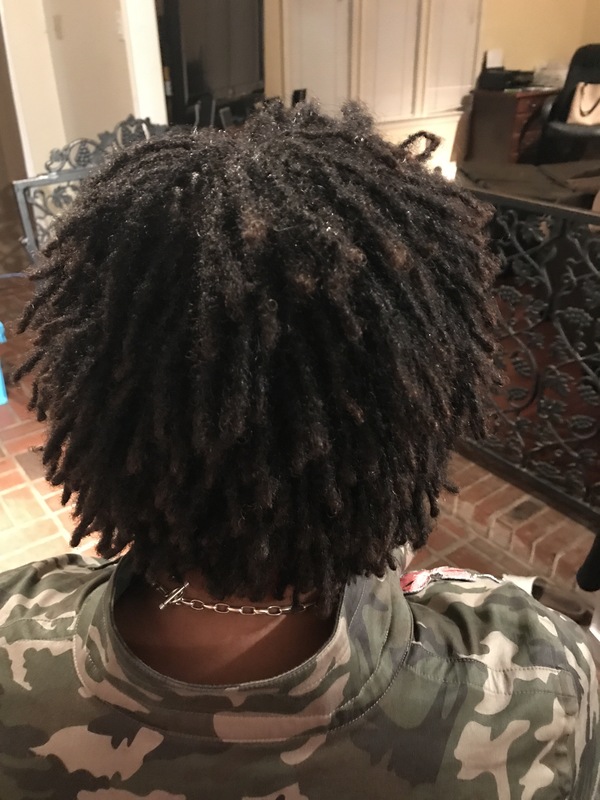 Deciding that the versatility of Sisterlocks was the choice for me, I contacted two local consultants, paid for a consultation with one, and decided to install my locks under her knowledgeable care as a 17+ year veteran. The relationship between my consultant and me evolved over the course of the year, and around the fourth retightening session, some idiosyncrasies began to surface. 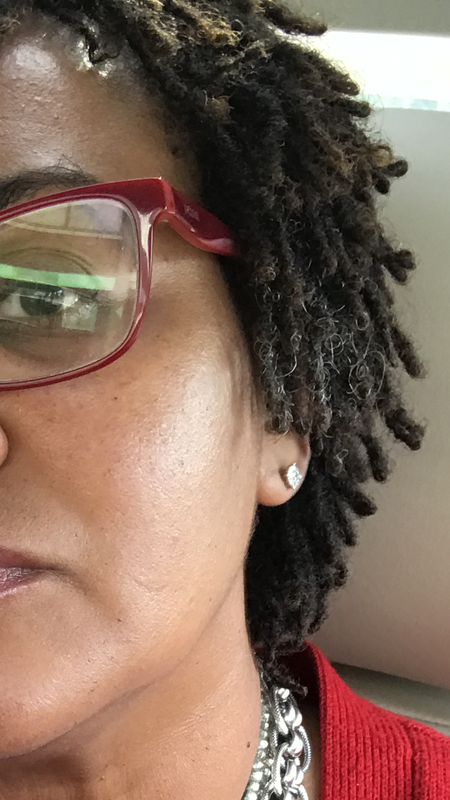 By the time my 10-month Sisterlocks anniversary occurred, I began to seriously think about severing the client-consultant relationship. 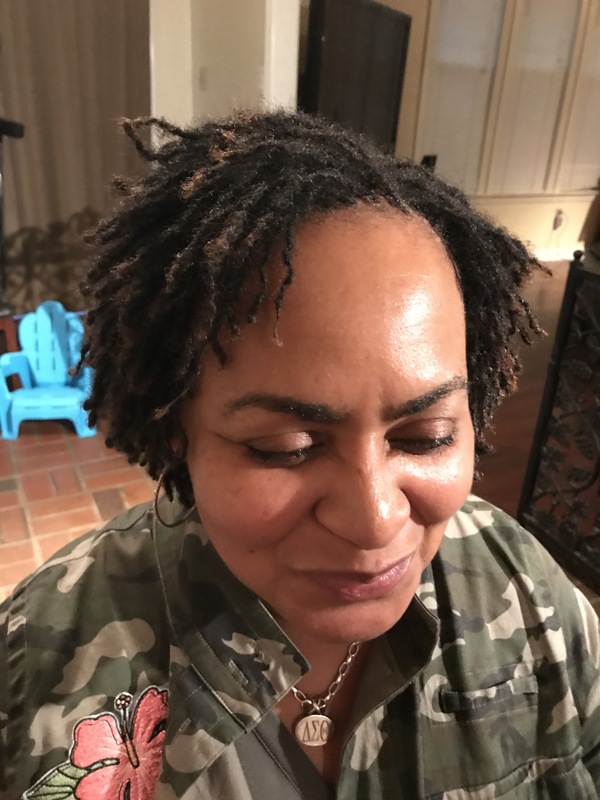 At my last retightening session, which also marked the one year anniversary of my Sisterlocks, I knew I would not return to her. There were just too many personality quirks that made me uncomfortable and eroded the trust factor for me. While the change in consultants was well thought out and calculated on my part, I truly am grateful to the consultant who began this hair care journey with me. 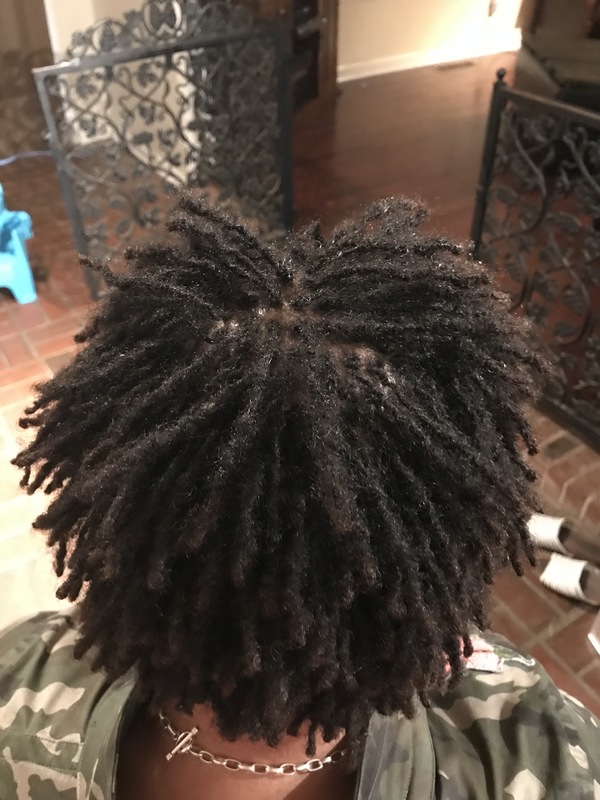 My hair has evolved so much in just one year, and as it continues to mature, I have begun to form a relationship with a new consultant which will allow my locs to continue to thrive and develop. The grays look like shiny lint in these pictures, but up close and personal, the grays aren’t as noticeable. So, friends and followers, I’ve learned that natural hair care and maintenance can be an emotional experience. I walked this same tightrope in 2012 when I changed hair stylists after 20 years of relaxed hair care. 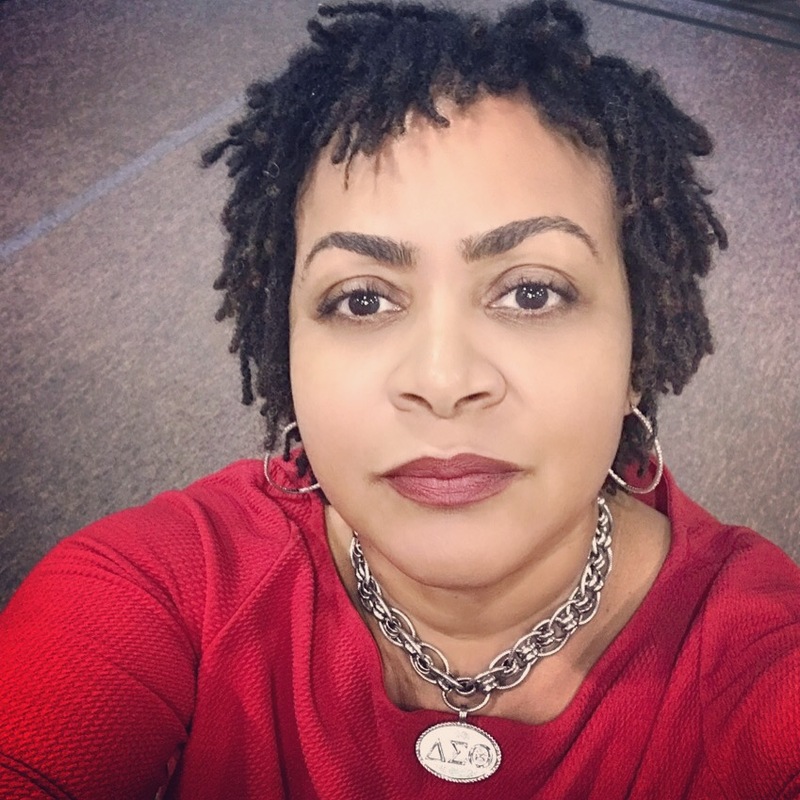 The costly installation of my Sisterlocks was a very personal decision for me; however, once I made the leap from relaxed to natural, I have not looked back or second-guessed my choice to lock my hair. Predictability in the cost of retightening services, honest and open communication, honoring the timing of appointments, and scheduling private, one-on-one appointments are all hair care non-negotiables that matter to me. The maintenance of Sisterlocks won’t break your purse if you are committed to professionally caring for your hair, in general; it averages to be about the same as any relaxed/permed hair care regimen. The time it takes to retighten my hair, however, is the motivating factor and the one that makes me appreciate Sisterlocks. I hated spending hours in the salon…waiting. You know the drill-wait to get in the chair, wait to shampoo and condition, wait to rinse, wait to dry, wait to style…you spend more time waiting than receiving services. I’m not knocking what people choose to do with their hair; it’s a personal choice. As much as I hated sitting in salons, I can understand and appreciate the working mother who savored those hours of wait time-time away from the family to herself and for herself. What’s next? 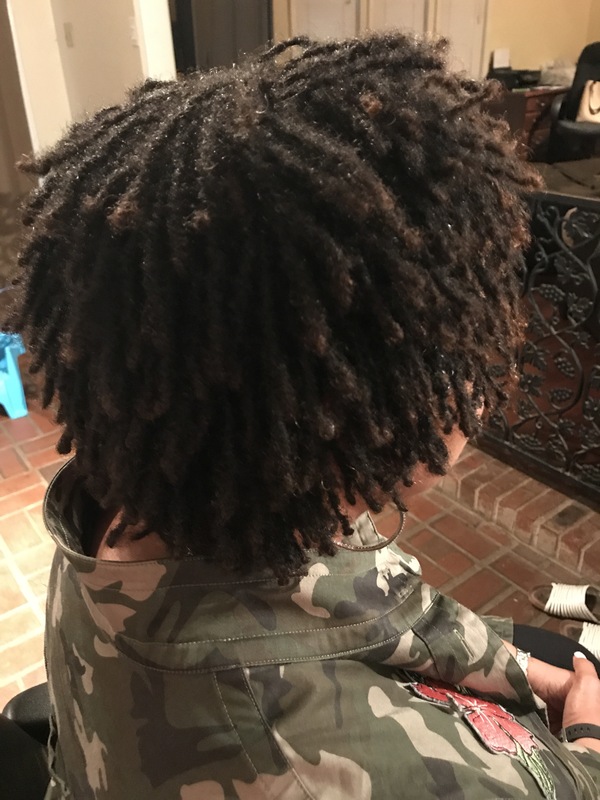 I want to enjoy Year Two of sharing my hair chronicles with you through this blog. More important, I need to build a strong and trusting relationship with my new consultant, April, as we balance my hair care maintenance and an open line of communication. I’m feeling fortunate to have met her through a friend and fellow naturalista, Marsha. April’s energy, consummate attention to detail, and kind spirit are exactly what I need in Year Two. Hey 👋🏻, you made it ” happy lockaversary 💕” you and your hair look gorgeous- lots of growth. I so agree. I too have had to make the same decision. I really enjoyed my locticion however I felt I needed someone that connected with my hair care needs. 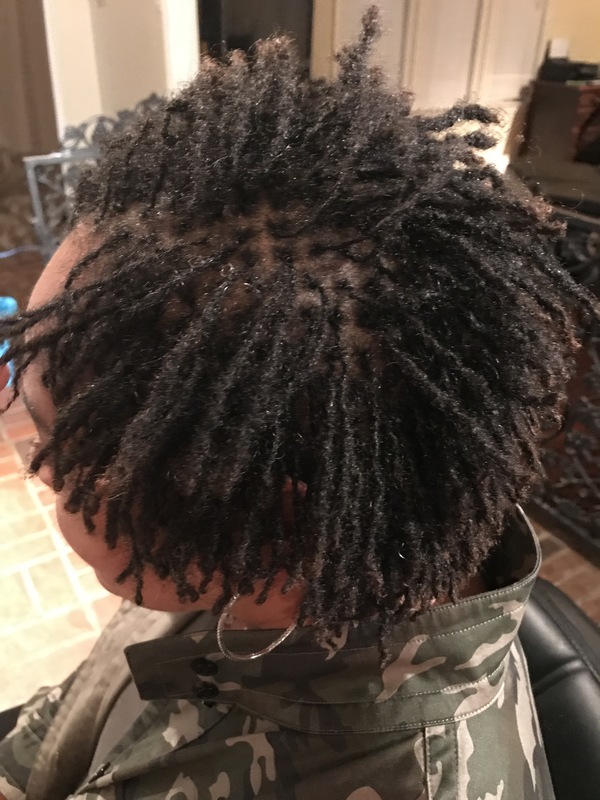 I feel so much better about my sisterlocs with my new loctician. Awesome read! It’s so funny to me how we are always sharing the same feelings about our sisterlocks around the same time! I appreciate how you articulate those feelings so well! Absolute love your grid pattern!